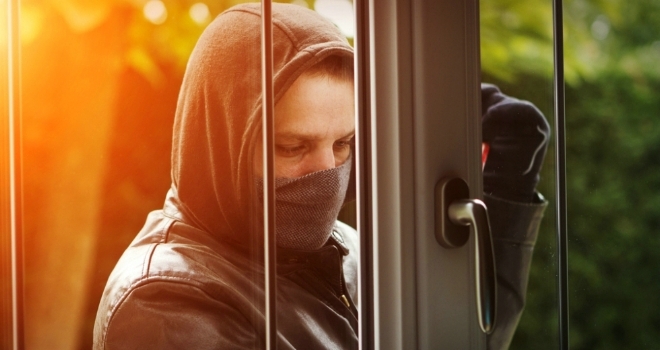 The latest data and analysis by home insurer, Churchill, has found that three-bedroom homes account for 46% of all break-ins in the UK. The most at-risk properties are three-bed semi-detached, followed by four-bed detached then three-bed terraced houses. The analysis of claims data reveals end-terraced houses account for 28% of burglaries on streets with terraced properties, despite being significantly outnumbered by mid-terraced properties. Research amongst burglars reveals surveillance opportunities, side and rear access are all easier with end of terrace properties. Burglars questioned said “I’d always pick an end house, wouldn’t pick one in the middle. If it was a terrace it’d always be an end one” and “I would look for …corner houses, ones with back alleys.” Living in a ground-floor flat means you are twice as likely to be burgled than someone on the first floor, with ground-floor burglaries accounting for 65% of all apartment burglaries. In total, there were 171,527 recorded incidents of domestic burglary in the UK between April 2016 and March 2017 – a 2,700 (two per cent) increase on the previous year. The analysis also revealed that an unlucky 2.2 per cent of properties were burgled more than once over the last three years - 95 per cent of this number were burgled twice, 4.4 per cent were burgled three times and 0.7 per cent four times.